When you’re from Detroit, you look at everything a little differently. Detroiters invented the way this country moves, for goodness sake – and just like entrepreneurs before us who believed they could see the future, we’re committed to moving the U.S real estate marketplace through innovation, dedication, perseverance and determination. Detroiters believe anything is possible. Motor City innovators know the wisdom behind taking calculated chances. Woodward Asset Capital was founded in 2007 by three entrepreneurs with backgrounds in three distinctly different areas of the housing spectrum. We purchased bulk parcels of foreclosed homes from banks, rehabilitated them, and sold them to owner-occupants in the midst of the worst housing market this country had ever seen. We exceeded every expectation we set and resold many houses in just days without doing any renovations, for the exact same price that the banks weren’t able to achieve in 6 months or more. Because the buyers for these properties were already in the marketplace but had been snubbed; for a variety of reasons, their offers never got through to the seller – lost, misplaced or deliberately discarded. We shared our eye-opening results with our bank partners. We identified gaping holes in their asset disposition processes. They immediately recognized the value of a system we were developing that would give them complete control over sales efforts…for the first time ever. 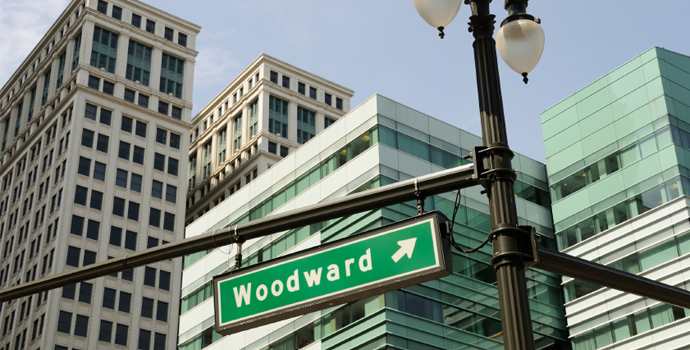 This experience fostered the beginnings of Woodward Asset Capital. What began as an aggressive acquisition of real estate has grown into a family of products and services that are bound by a desire to search for new ways to improve efficiency and the user experience. Our institutional and banking clients look to us for guidance on strategic implementation of tools and processes that allow them to enhance results with their real estate portfolios. We work with our client partners to fully identify current process and procedural shortcomings, gain an understanding of directional needs and restrictions and then craft workable solutions that revolutionize how they do what they do. And enhance revenues across the board. Our custom solutions provide the transparency and robust toolset that agents, bankers, asset managers, mortgage servicers and investors need to control the real estate sales process. Our solutions make it easy to comply with auditory, regulatory, Sarbanes Oxley and Consumer Financial Protection Bureau (CFPB) requirements. Our solutions expand the sphere of influence for all involved. Woodward Asset Capital is a company defined by innovation. We ask questions and dig deep to identify problems and find answers. We create solutions where none exist in order to get to the very best way of doing business. Whether that is technology, process or service, Woodward Asset Capital provides Empowering Solutions.